Setting up your WordPress site is just the first step. The next challenge is filling it with useful, helpful, and interesting content that will engage readers and keep them coming back. This session will cover pointers from veteran blogger, author, and publisher Peter DeHaan to help beginners minimize frustration and existing bloggers to be more effective in what they write. This is the third installment in our WordCamp Grand Rapids 2017 revival. In this session you will gain some excellent strategy for producing content for your blog. Follow along as Peter walks you through ways in which you can better engage your readers, plan and prepare your content, and support your writing with other visual content. 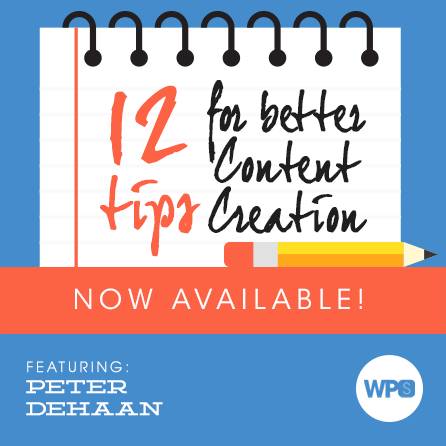 Peter DeHaan runs over a dozen WordPress sites for his business and his writing. Peter enjoys helping beginners get started and established sites with content creation.